If you are interested in finally launching your career the process of advancement might actually fall under the idea of professionalism over the idea of efficiency. Choosing a new workplace style could be a great way that you could get noticed and one of the most inexpensive and fun ways that you can change your style. 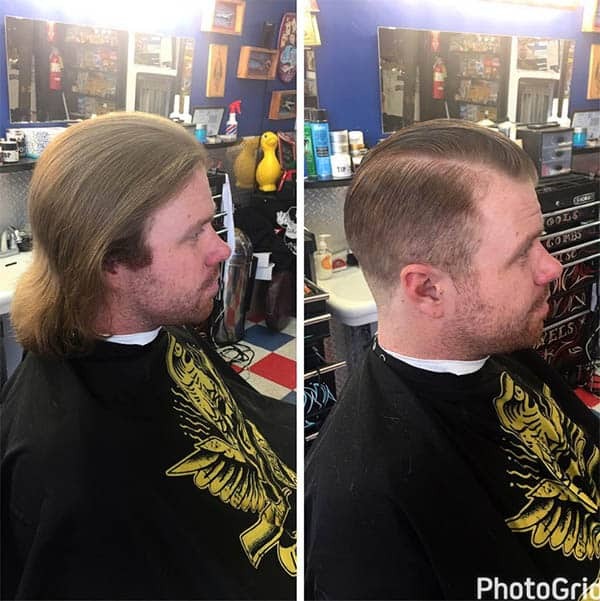 Some of the most effective haircuts that you can choose from often include styles that are extremely neat and professional. These options are often the best for getting noticed at an office and feeling respected. 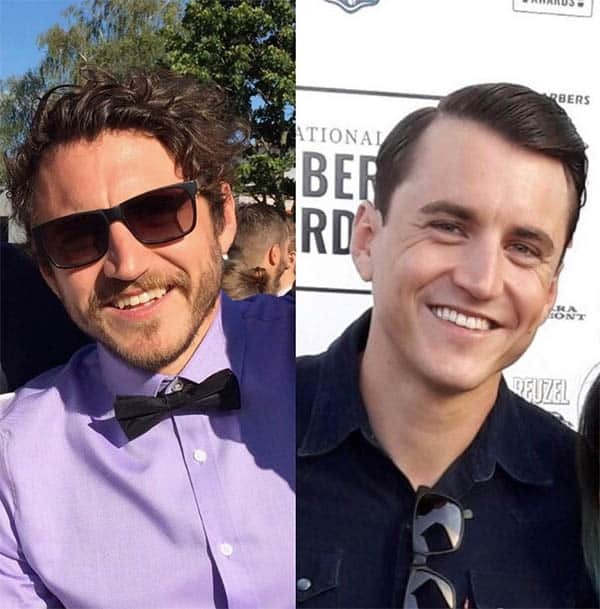 Getting a business friendly haircut can be a wonderful way to get noticed, but which one should you choose? 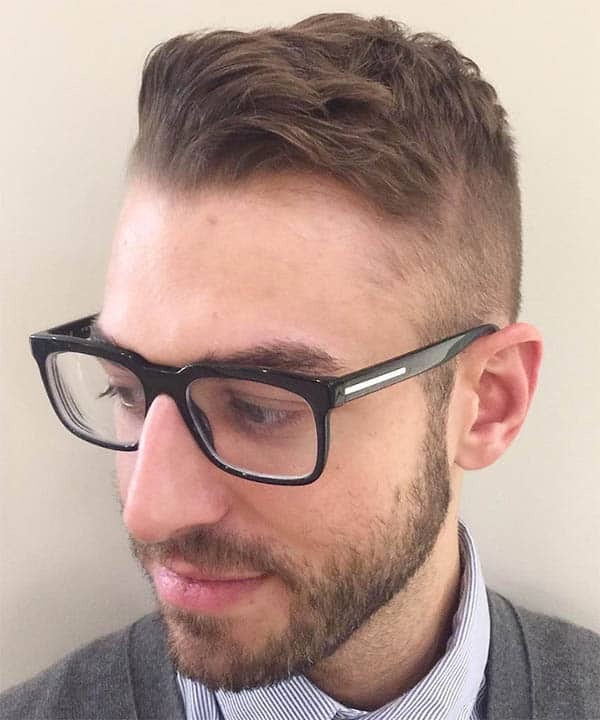 This is a shorter style that is quite short in the back with a lighter fade in general. Seen as more of an American crew cut, this is a look that will surely get you noticed at the office and be a very low maintenance style for your everyday life. 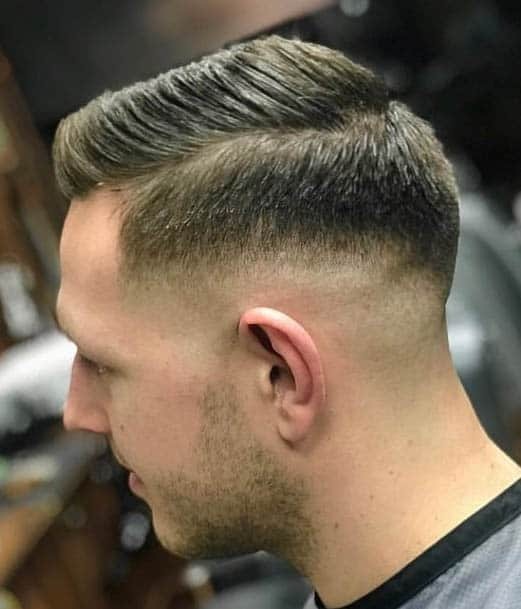 This fade is known for its extremely hard cut nature as well as the slight swash as it is faded to the back of the head. The bangs can be kept a little bit longer here but this is a very comfortable and professional style. This is the perfect style for thinning hair, it can add plenty of depth to the hair with a slight fade back as well. With a clean cut side and the option to cut it with just scissors this can be a very customized look. The sleek cut is a style that’s perfect for longer hair. For taming longer style bangs, this is a way that they can be properly managed while still having extra texture and depth. 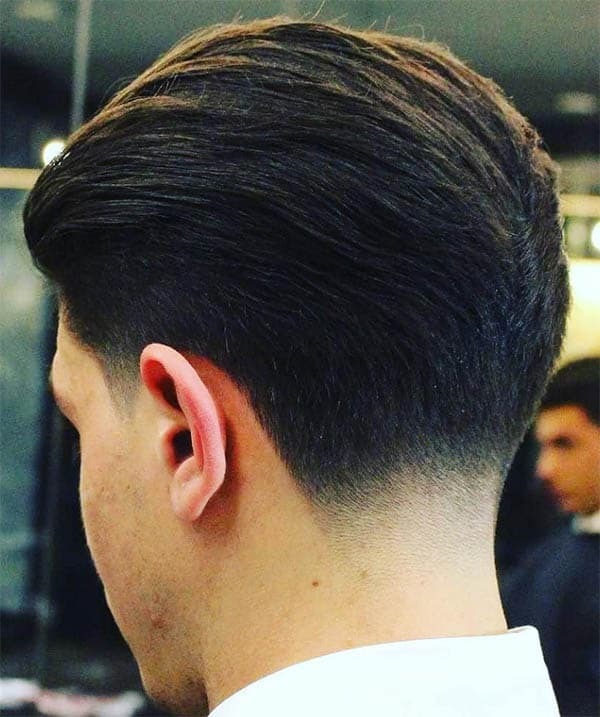 The Taper style is best known for its comb back feature as well as the look in the back. 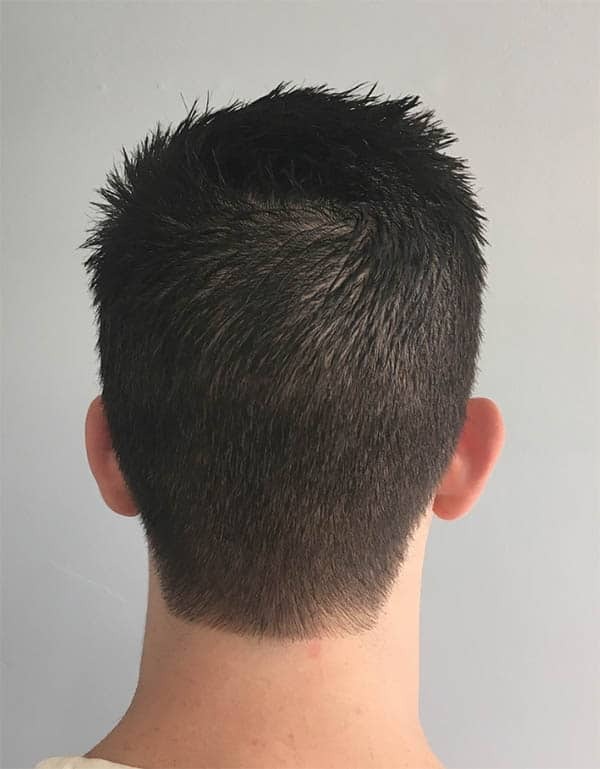 The hair is smoothed back and styled towards the back of the head. It creates a very clean appearance that is simple to manage with medium length hair. The clean Spike is known for its shaved sides and shorter spikes. A little flatter than a faux hawk, this is a comfortable and sleek haircut that is very professional. As an absolutely classic men’s haircut style, it can add depth to the cut by leaving some extra medium length hair on top. The sides and sideburns can be very well trimmed and sculpted to reflect the cut. The textured cut is perfect for adding real depth in a medium length style. Done completely with scissors, this is a beautiful way to add to a fairly simple style. The shared sheet is a shapely look that is perfect for long bangs. The sides come very well shaped and the bangs are left to swoop back for added depth in the cut. 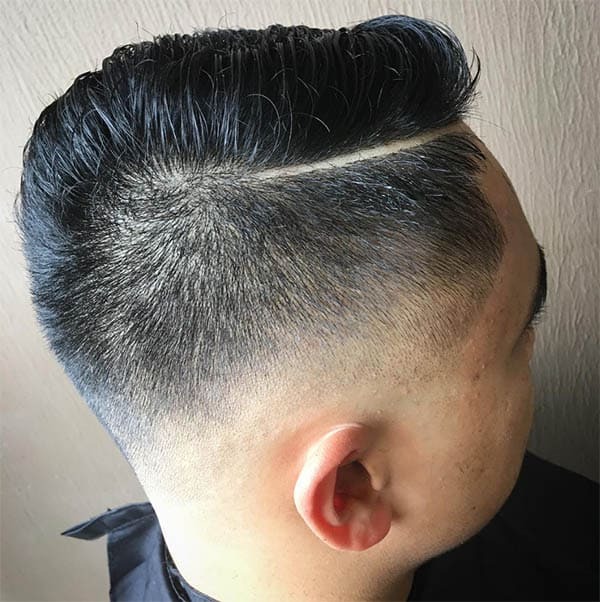 The crisp fade has become a very popular haircut because of his extremely clean lines and because of the harsh shaved fade towards the sides of this cut. Often this cut is performed using a straight razor for added precision. A squared off crew cut can be a popular style that most barbers have perfected. 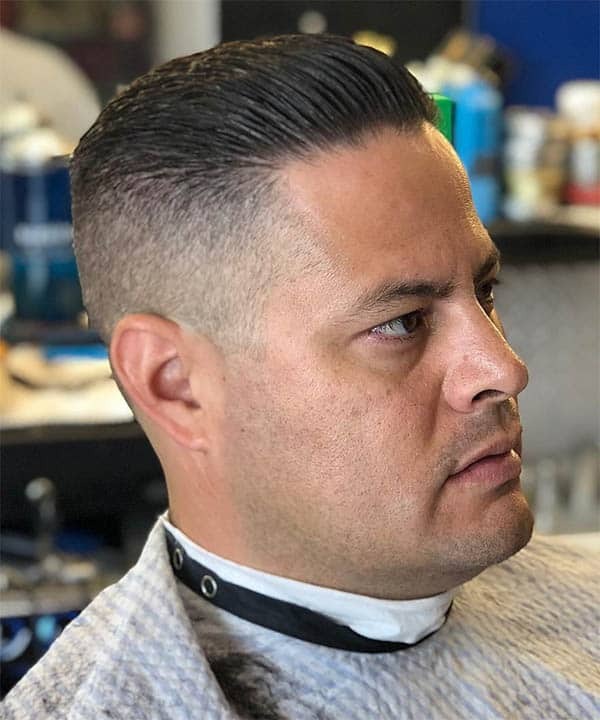 The crew cut style has long had a place in business and continues to be a sharp cut that you can choose to change up your style. Many of the top fade in the market today require the use of styling gel and other products in order to keep them looking clean and fresh. 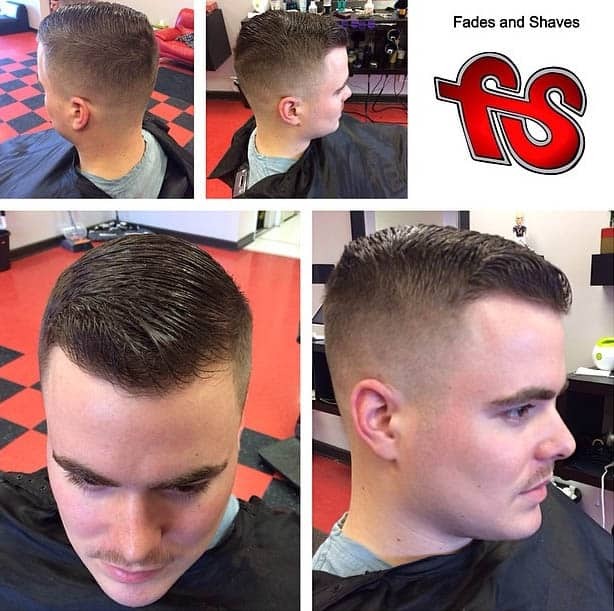 A no product fade is designed to sit naturally and produce the look of a typical fade without any of the product. 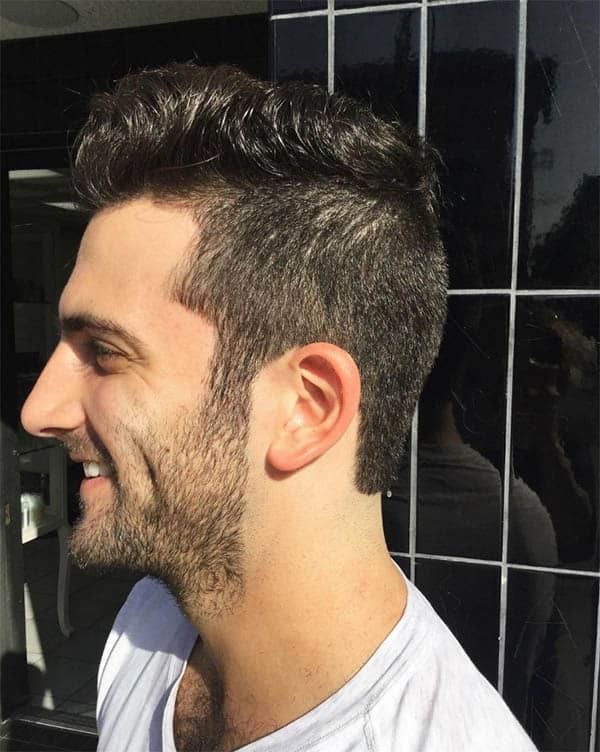 A neat trim style is done completely with shears and it’s one of the best ways that you can get hair up off the neckline. This is a cut that will require regular maintenance but it can produce a powerful effect for professionalism/care. 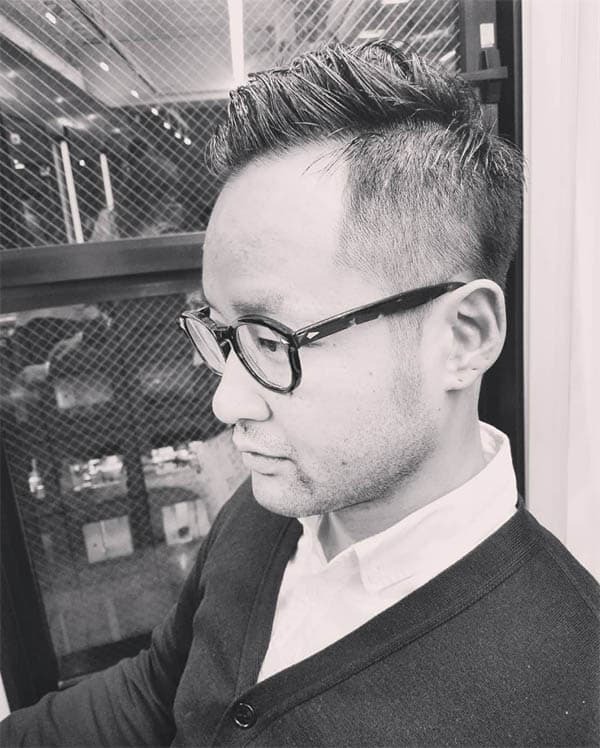 Clean spikes are another haircut that’s perfect for thinning hair. 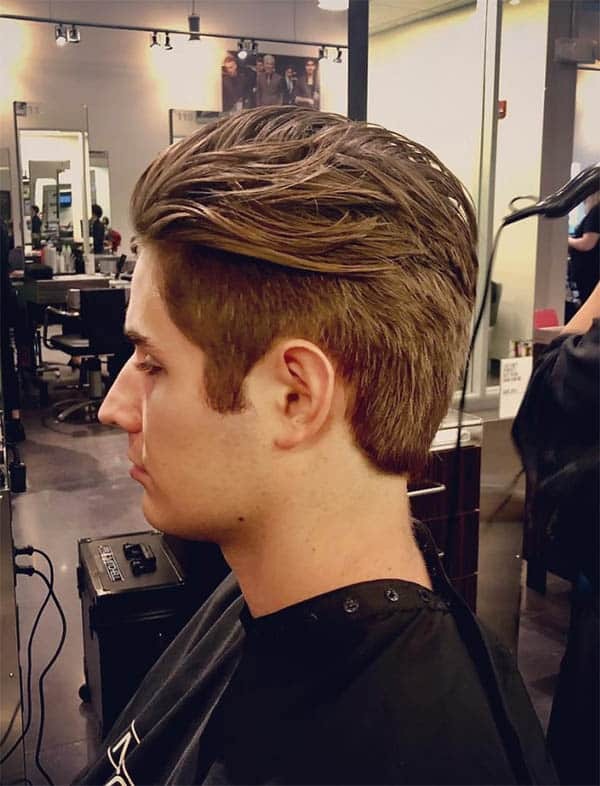 This is an ideal way that you can add more depth with some professionalism to any men’s cut. This ultimately uses a variety of products but it’s a very clean look that is perfect for business. The styled comb look has been popular in business for many years. 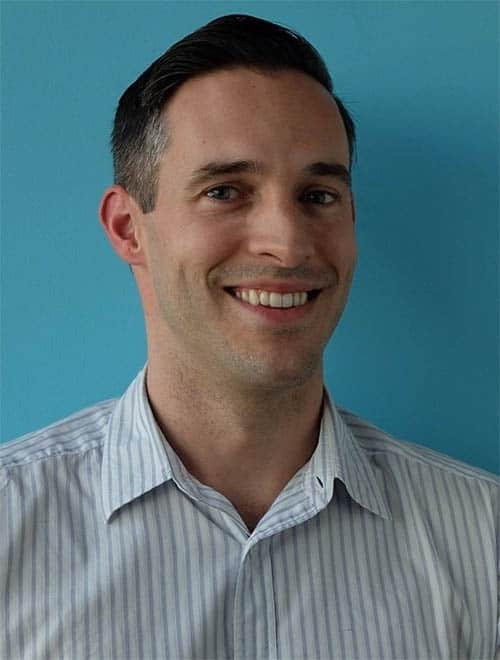 It relies on proper styling as well as the use of a medium cut. 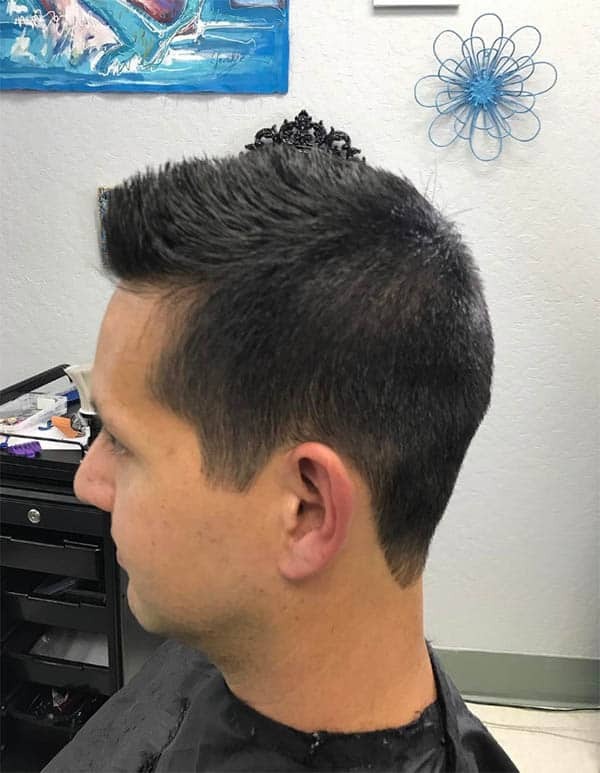 This simple yet regular business haircut offers a very professional touch for the workplace. It only requires a light comb to sit well before you go into the office too! The fresh full fade is a different type of fade that actually goes towards the back of the hairline instead of parting at the side. 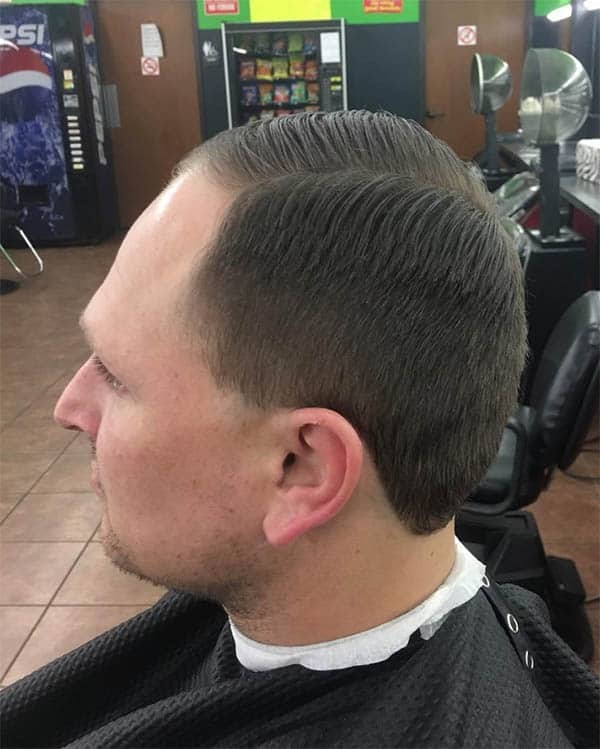 This is a popular look from the 1920s that still continues to find its way into business haircuts today. The traditional Pompadour has been a popular and externally clean-cut look for many years in business. There are a number of hairstylists that will continue to offer this cut as one of the staples of their barber business. The traditional side part has become a very popular style in business today. There are some stylists that use straight razors where as some still stick to electric razors for producing a different type of side part. The side part remains a very popular style for a drastic transformation. 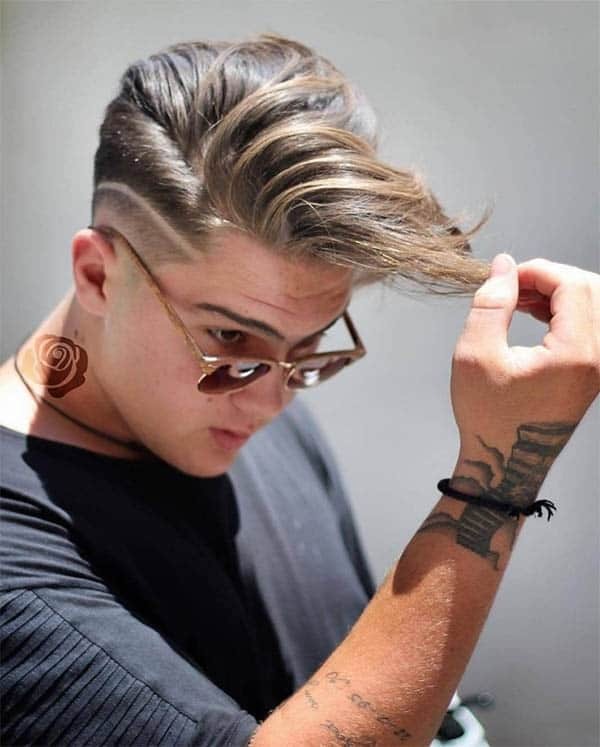 The slick back style is perfect for individuals who are changing their style from longer hair to a shorter look. Choosing a style that is slicked back and casual can command real respect in the workplace. The squared up side comb is a business cut that is a slight change when compared to the traditional fade or Pompadour. 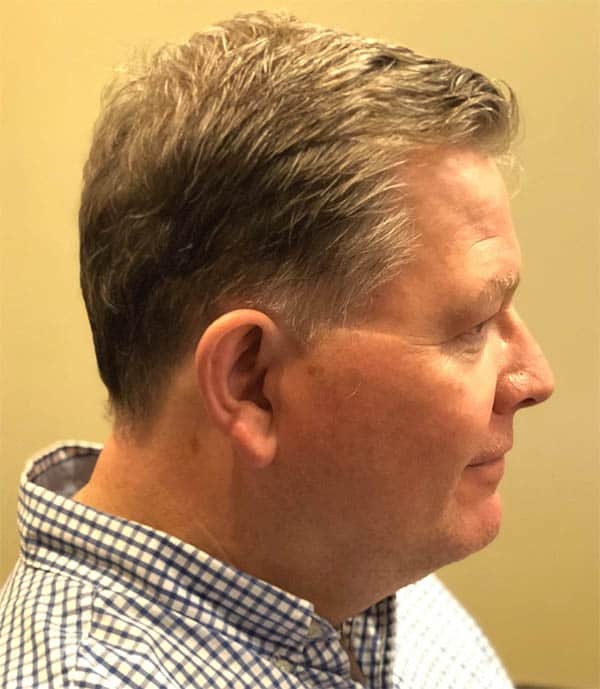 It involves the use of properly squaring up the back and sideburns and it can produce a very professional effect, especially when it’s done with a straight razor. The best business haircuts that include a long fade are often done with a hot towel and straight razor shave. 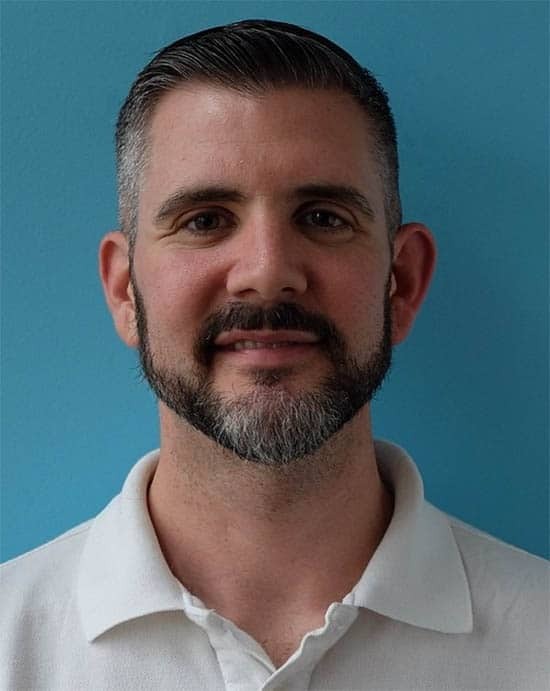 There are a large number of barbers that now specialize in the hot towel shave and this haircut is certainly starting to come back as a favorite choice. 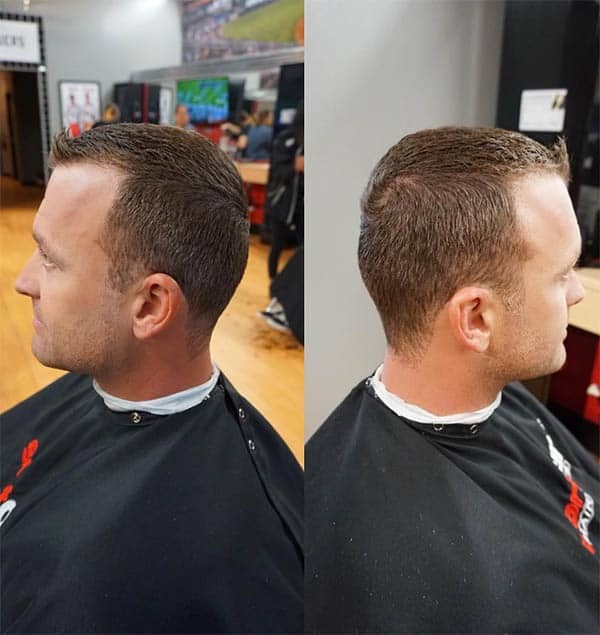 For those that don’t want to commit to the full fade or even the clean fade, this medium fade offers one of the best ways to transform without all of the maintenance. 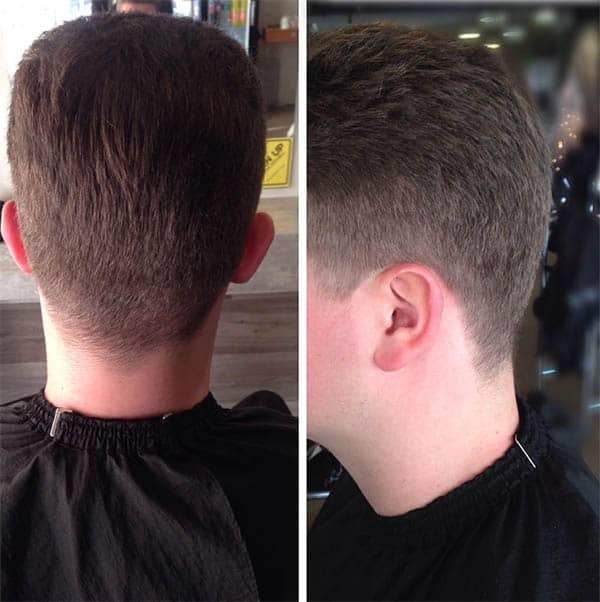 A medium fade is very easy to take care of and it’s the perfect cut to keep you feeling business fresh. 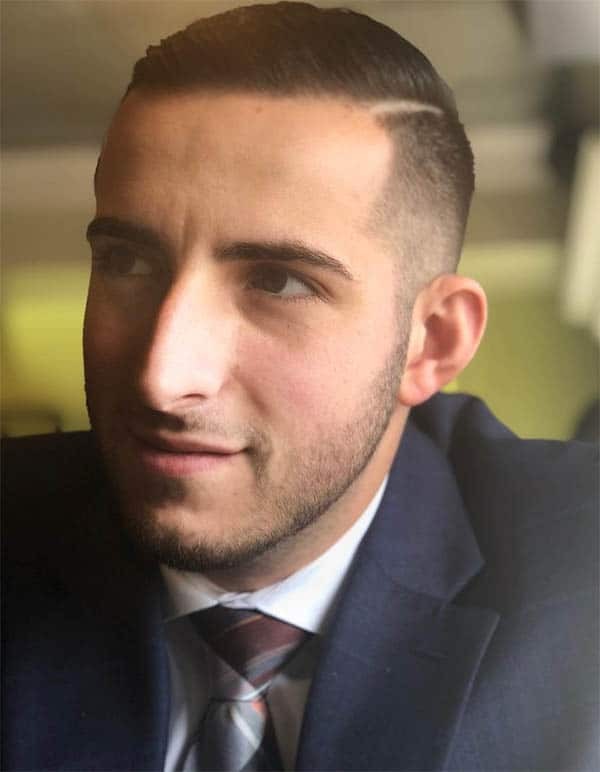 The Fauxhawk style has become an excellent choice for many young business professionals. 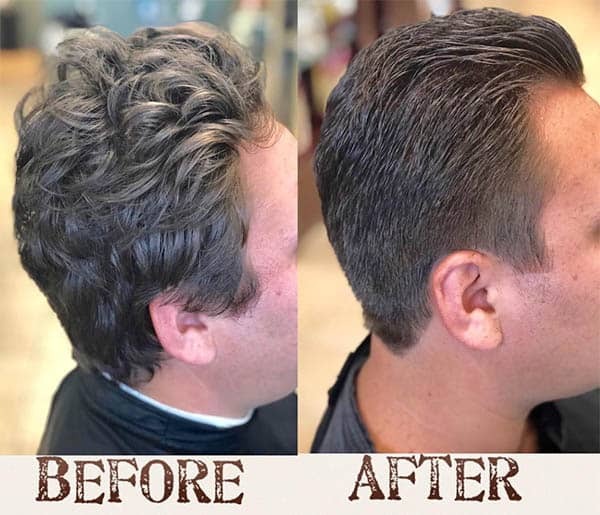 For individuals that want to stand by their youth while still looking extremely professional, this is a style that can keep you looking young and clean cut. The brushover is somewhat similar to a fade but it stays much longer. This is more of a scissor cut and it involves the use of a quick brushover to get the style correct. 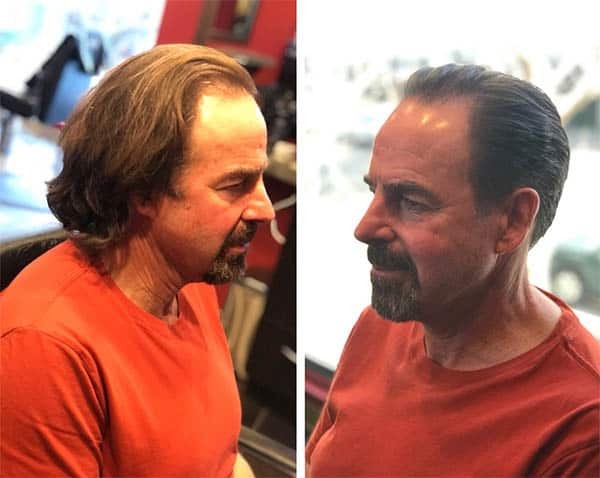 If you are a fan of low maintenance business haircuts and you would like to get an excellent style, the brushover could be just what you need. The styled up look does require some product like it can be the perfect way that you can show off a larger bang. 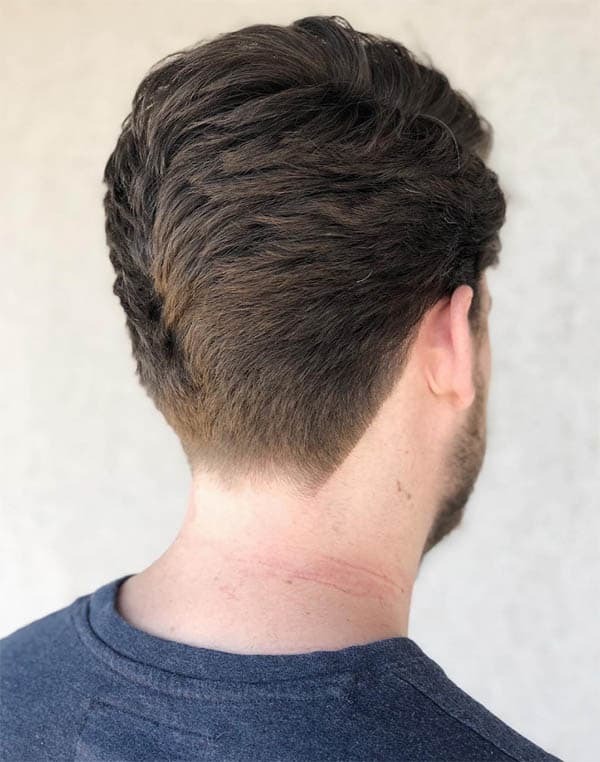 Clean cut at the sides, this is a stylish business haircut that stays in place all day and creates more depth than the average brushback or fade. It is the perfect option for those that have thicker hair. The shaved round style is also a fantastic option for individuals that have thicker hair styles. 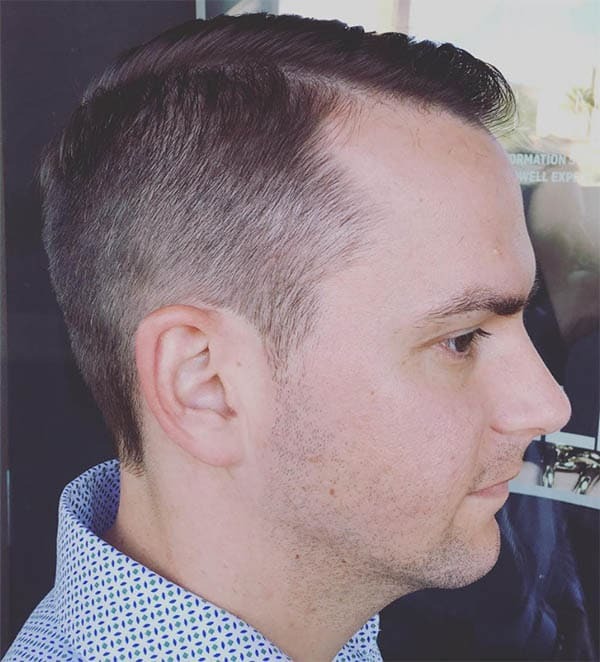 This process involves regularly shaving down the back and sides to produce a bit of a crew cut that is more textured and that seems to fade down into the neckline. The long fade requires a consistent shaving downward to keep the hair longer on top and styled back from the bangs. The long fade will eventually fade into the neckline and it will be a business haircut that’s very easy to maintain. If you have curly hair traditionally it could be a good idea to consider managing those crawls along the sides of your head while embracing some of those curls with your bangs. With a medium length curly haired style, you can get a professional look that also controls some of the curls that you experience daily. This is a look that will definitely get you noticed if you move from long hair to shorter hair. 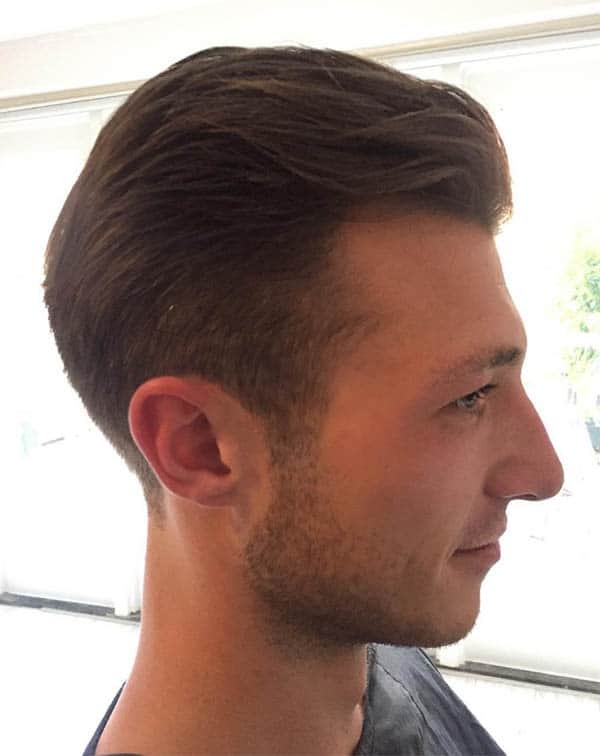 The clipper cut is a naturally slicked back looked at also fades out along the neckline. This is the perfect option for medium length hair and can even be done with a part. The hairstyle does take some time to perfect especially when fading out the neckline. The results can be powerful when seen from far and this makes it the perfect business cut for getting noticed. The high Pompadour is often styled to have the bangs extend higher from the head. 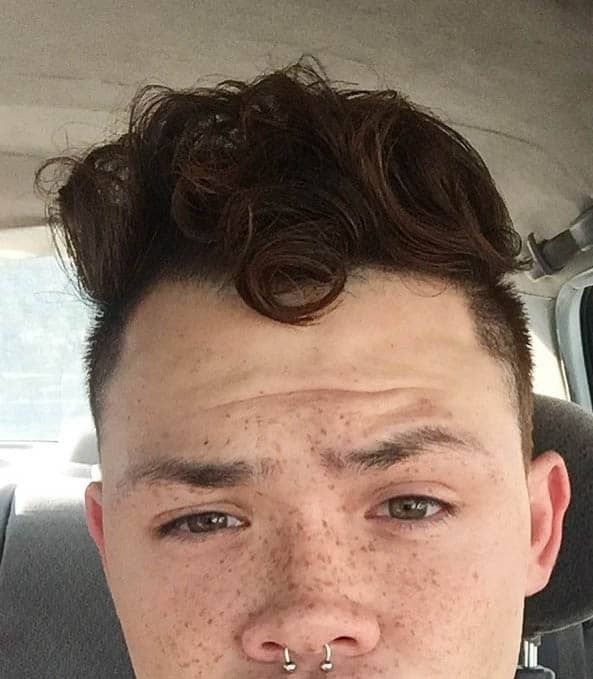 The look of this Pompadour is still extremely clean but the bangs are kept much longer and are styled to produce a higher and more dramatic look. This is a look that will definitely get you noticed in any modern office. 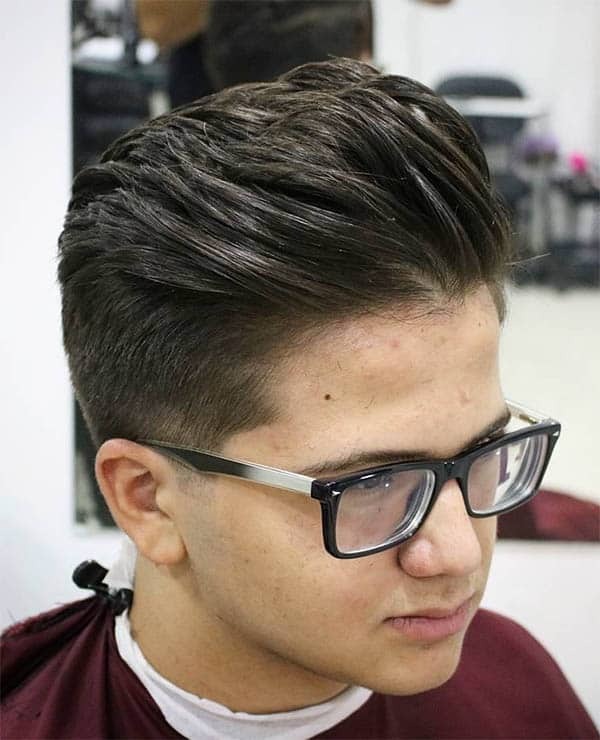 The tapered version of the pompadour is a shorter style that doesn’t embrace the higher bangs or the longer hair that can commonly be found in a number of Pompadour styles. 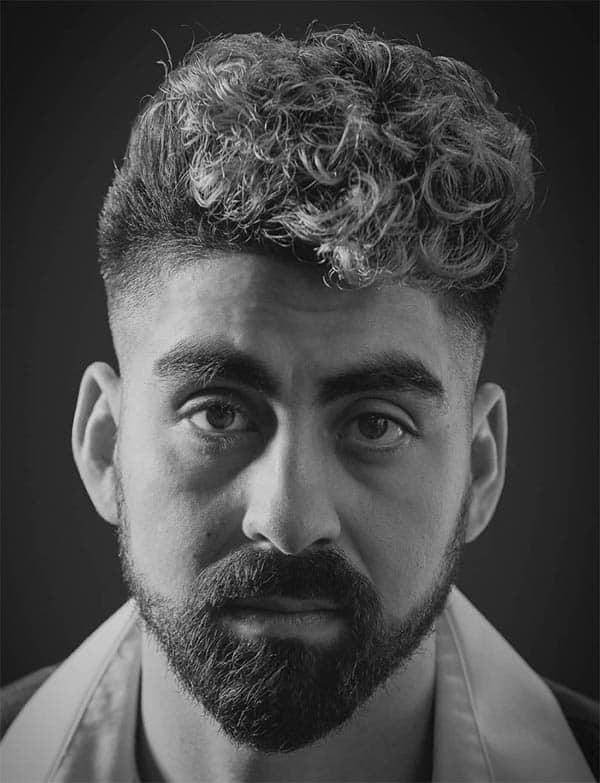 With this look, you can get a much simpler fade and a tapered look that has some extra layers from a traditional Pompadour. The 1950s crew cut involves the use of some heavy barber styling in order to get the textures right. 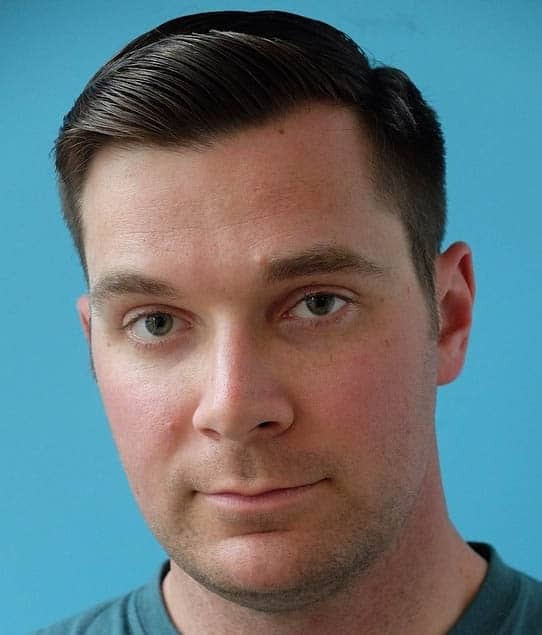 It can take some time to get a properly done crew cut but the results can be stunning. The look of this cut is professional and perfect for many office environments. The tapered back Pompadour is similar to the regular tapered Pompadour only it has a much more tapered back. 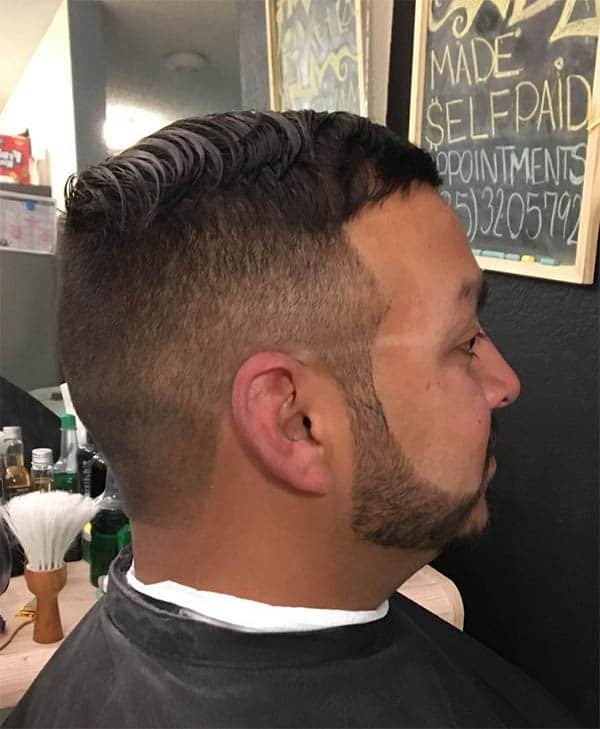 This is perhaps one of the most modified business haircuts produced in the form of a Pompadour. 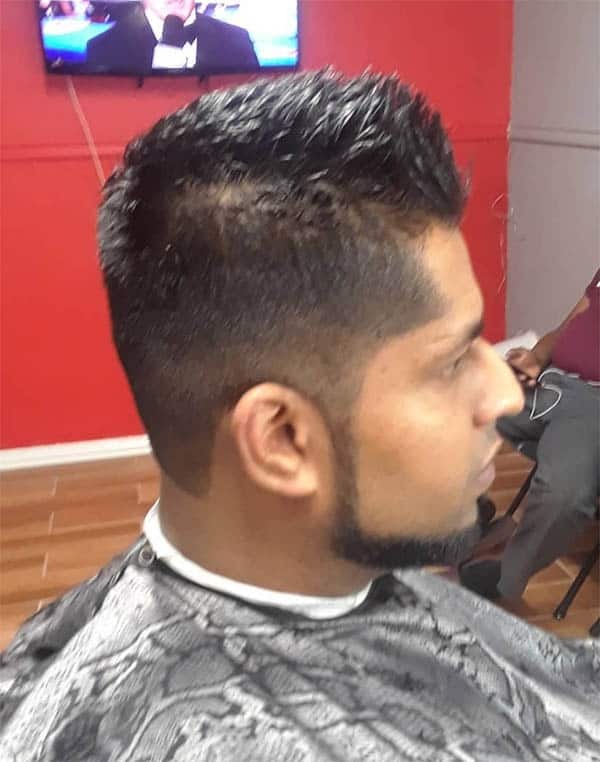 It can create a beautiful look but it does require a skilled barber to make it look perfect. The low blended fade is perfect for individuals that want to get the look of a fade without having to commit to longer hair. 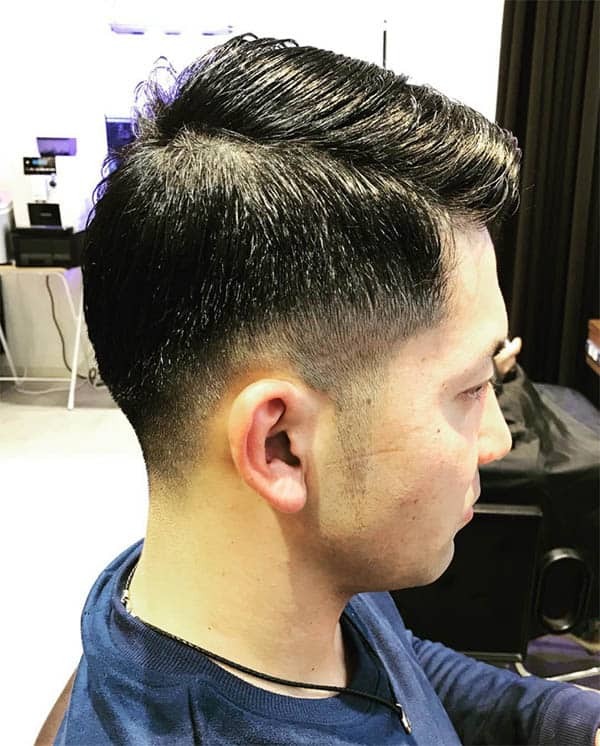 If you have a business haircut in the form of a fade and your bangs regularly move down into your face, this could be an ideal solution to keep you looking professional without the mess. The 50s curl is a version of the fade that also includes longer bangs and the option to style those bangs into a beautiful curl formation. This is a style that has been popular since the 1950s and remains a business hairstyle that really commands respect. 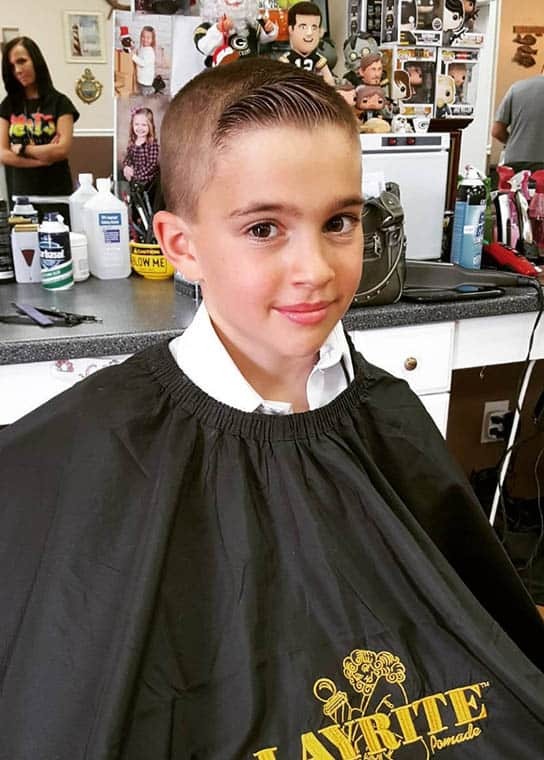 Some of the first instances of the pompadour actually occurred in the 1940s and there are many barbers that will continue to produce their version of the 1940s Pompadour at their own shop. 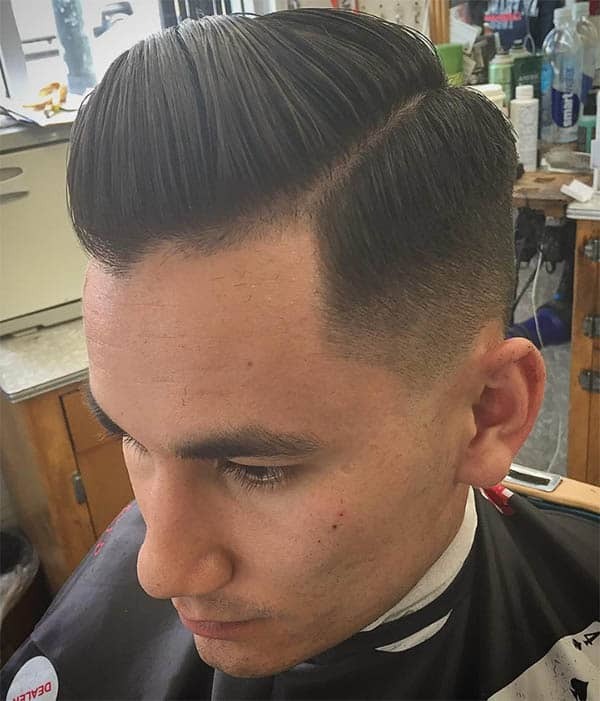 This example features a much more traditional Pompadour and a look that is a perfect traditional business haircut. The Princeton cut features longer bangs and a medium length hair lines throughout. 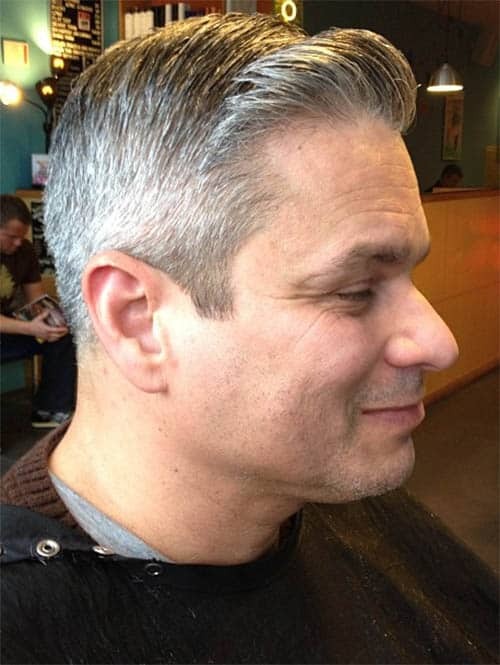 The texturing look has been popular as a style of Pompadour for many years. This remains a professional look when the sides are shaved up and the style can take on the look of a clean-cut business haircut. 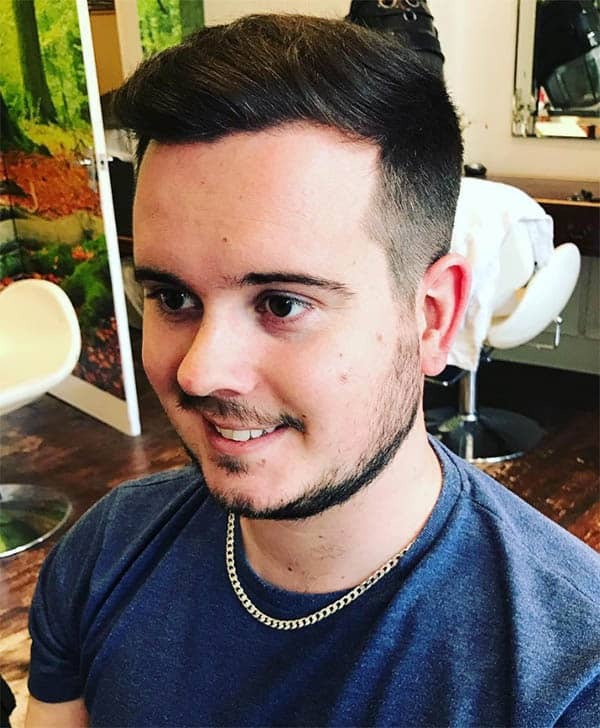 If you are trying to get noticed in the workplace and you’d like to adjust your style, choosing any one of these excellent business haircuts could put you on the right path to advancing your career!